The product is highly durable and easy to use. Easy installation and easy handling. Includes integrally molded drain assembly, stopper, and mounting hardware. 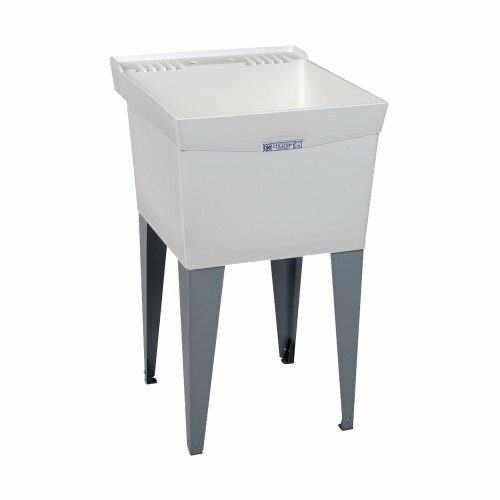 This laundry tub features leak-proof, integrally molded-in drain with stopper and a heavy gauge steel legs with adjustable levelers. If you have any questions about this product by Mustee, contact us by completing and submitting the form below. If you are looking for a specif part number, please include it with your message.